Netflix has revealed a new animated introduction that will debut before its original programming. The four-second spot features Netflix’s red “N” logo on a black background. As the camera zooms in, the “N” transforms into colorful vertical lines. The streaming service is also keeping its iconic “ba-dum” sound bite in the opening. The ident will begin appearing February 1 before all originals, and the streamer will retroactively add it to previous originals over the coming months. 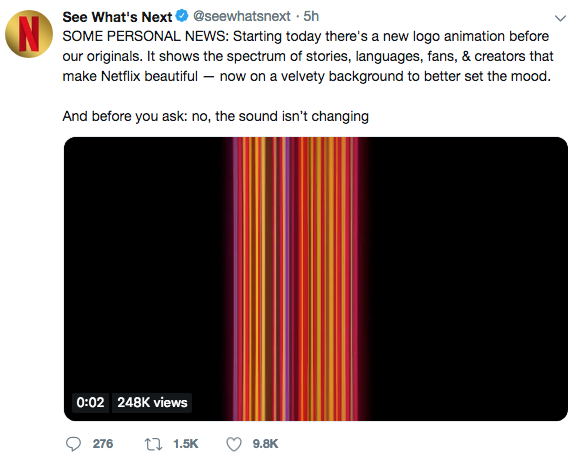 The new logo animation is meant to “show the spectrum of stories, languages, fans and creators that make Netflix beautiful—now on a velvety background to better set the mood,” Netflix said Friday in a tweet sharing the news. 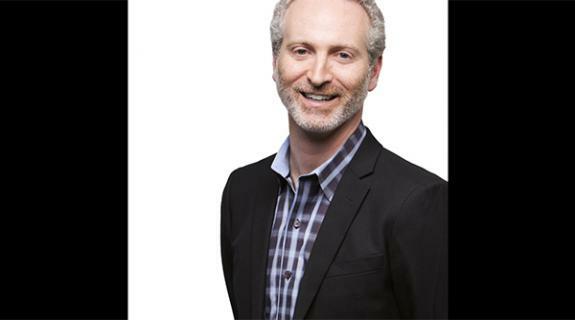 As the company continues to invest in original content—it spent $8 billion on it last year—the new opening, which took two years to develop, has more of a cinematic feel meant that aims to make its programming feel more special, reports Fast Company. Netflix’s previous opening featured its logo on a white screen, and debuted five years ago when the company first began developing original programming. That diversity and variety of content is represented by the vertical lines in the animation.